Racquet & court sports prove to be tough on the foot and ankle. The podiatrists at University Foot and Ankle Institute (UFAI) commonly treat foot and ankle injuries from lovers of racquet sports, ranging from weekend warriors to the professional athlete. 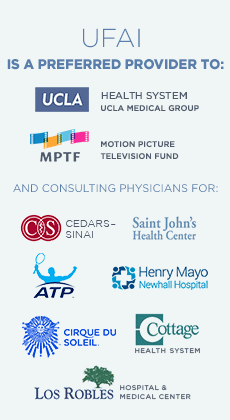 UFAI has sponsored the Women’s All American Tennis Championships in Los Angeles for multiple years and is the preferred provider for the Association of Tennis Professionals, so we are no stranger to elite tennis players whom need their feet and ankles to perform. There has always been a connection between court sports and lower extremity injuries, particularly with racquet sports. The repetitive stop-and-go and lateral movement demand combined with the hard and variable court surface is what puts these players at risk. But tennis isn’t the only racquet sport that produces such injuries, we are seeing similar conditions from a new and emerging sport called pickleball. 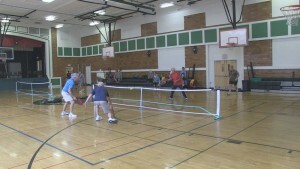 Pickleball has garnered a lot of recent attention. It’s a hybrid of badminton, ping-pong and tennis with a court size similar to that of a badminton court. Longstanding hotbeds of pickleball exist in Washington State, Phoenix, Florida, Palm Desert, San Diego County, and more are popping up all over Los Angeles County, from the paddle tennis courts of Venice Beach to Simi Valley, home to the newest UFAI office. 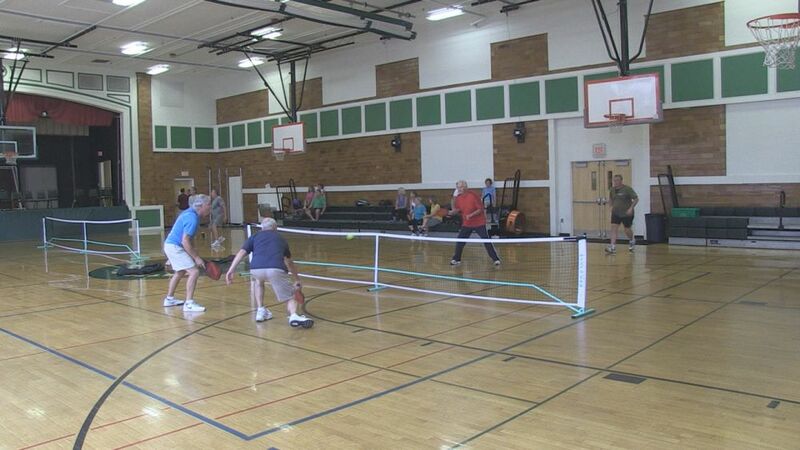 Pickleball is gaining many new supporters, as it’s a relatively simple sport to pick-up, demands less rigorous physical demand and has equipment modifications compared with tennis. It’s affordable and easy to play in existing gyms or courts. But with this increase in popularity comes the increase in related injury. When it comes to racquet sports and injuries, muscle and tendon injuries take the lead. A ten-year study in the British Journal of Sports Medicine covered injury trends during the US Open Tennis Championships. It was found that anatomically, the rate of lower limb injuries were significantly higher than upper limb and trunk injuries with the ankle the most common sight. An additional study in 2011 on racquet sports including badminton, table tennis, and tennis, found the foot followed just behind the ankle, as the most common injury site. So how are these common injuries such as an ankle sprain, Achilles tendinitis, and activity-halting plantar fasciitis best prevented? These injuries are so common that they are typically undertreated and improperly diagnosed. This often leads to chronic ligamentous laxity with a higher risk of instability of the affected joints and re-injury or chronic, activity-limiting pain. Similarly, more severe problems can arise from joint cartilage damage that may have occurred at the same time, warranting expert medical evaluation to help you get back to your game. Now for prevention. A solid pair of court shoes or true “tennis shoes” will be the foundation for remaining injury free. Specific engineering designs provide extra lateral mid and rearfoot support to accommodate for frequent side-to-side motions as well as forward motions, and they are constructed with stiffer materials to support the feet and ankles during sudden stop and start movements. Understanding the biomechanics of various foot types and the fine balance of impact attenuation and rearfoot control of an athletic shoe can be challenging and is often not evaluated properly. Shoe wear decisions are frequently made by the way a shoe looks or what a salesperson may pitch. Athletes will do better seeking professional help to determine their foot type, and finally make other shoe choice decisions based on type of court surface, body type/weight, style of play, and specific court sport. More aggressive or frequent play on smaller courts, such as with pickleball, often demands a shoe with a toe-cap. I had the opportunity to interview “Duct Tape Tyson,” a nationally top-rated pickleball player. His wife remarked the nickname came from him wearing shoes literally held together by duct tape. During regular play he could go through a new pair of court shoes in three to four weeks. Now that is demand. Duct Tape Tyson has recently left the area for the international circuit, but shoe stores everywhere are awaiting his business. Ultimately, knowing your foot type and the demand constraints on your feet and ankles along with a properly fit and appropriate style of shoe are keys to avoiding problems. Other important concepts for injury prevention involve proper bracing/taping when relevant, weather considerations, warm-up prior to stretching activity, and appropriate progressive activity initiation; all influential factors which will reduce injury risk and enhance performance. 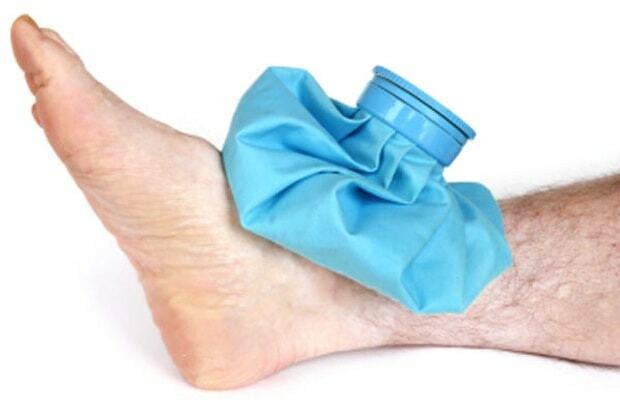 Treatment for acute musculoskeletal injuries generally involves rest, icing, and immobilization. The specifics regarding type and duration of immobilization, as well as weight-bearing status, will be determined by your foot and ankle specialist and based on the diagnosis and severity of the injury. It is critical to remember that soft tissue injuries can take as long as bone to heal and will generally not be seen on x-ray examination. Likewise, chronic injuries can often be more troublesome to treat because of the long-term damage (inflammation and scar tissue) and compensation, delay or initial improper treatment, and other problems that occur over time. Whether your injury requires proper conservative management or surgical intervention, physical therapy is often an important process to formalize in order to give you the best chance to compete successfully and prevent recurrence. In conclusion, court sports are demanding on the lower extremity. Pickleball is fun way to stay active and healthy with less physical demand or necessary skill or practice time for success, compared with tennis. Proper court shoes and athletic activity preparation are crucial for prevention of injury. Should a classic Achilles tendon, plantar fascia, metatarsalgia, ankle or foot injury occur, seeking skilled foot and ankle specialists for accurate diagnosis will best get you healed and healthy and back on your court of preference. If you have any questions regarding your lower extremity health with regards to sports injuries or performance enhancement, we encourage a consult with one of our foot and ankle specialists; please call (877) 877-9110 or visit us at www.footankleinstitute.com. My name is Chris Dean and I am the owner and inventor of the Ankle Roll Guard. I just read your blog on foot and ankle issues in pickleball and found it really good. Check out our product when you can as it might help others into the sport.